Vancouver-based roots musician Buckman Coe has a lot on his plate in 2019. He just released 'Endlessly', the 3rd single from his soon to be released new album Gathering Storm (out February 22nd), and he'll be playing an official artist showcase at Folk Alliance International in Montreal on Feb 13th, before kicking off an Album Release Tour throughout BC and Alberta on March 1st. See below for full tour schedule. Buckman Coe delves deep into some retro psych soul on his latest single 'Endlessly' with a feature from Portland-based songstress Lynx. Exploring the connection between souls over various lifetimes or pathways, it’s like a sonic and poetic version of the movies Cloud Atlas or Mr. Nobody. “This song started with the extremely catchy “oooh” section in the chorus and a few delirious late nights jamming after reminiscing and rewatching some of my favourite mind-melting movies about identity, and soul connections over lifetimes," says Buckman Coe. 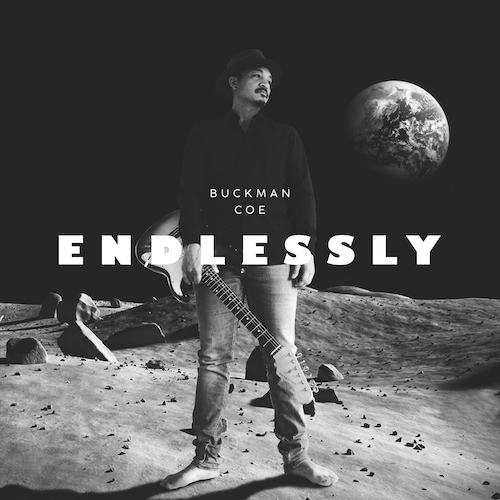 'Endlessly' follows the release of Buckman Coe's 2 previous singles from his 6th full-length album Gathering Storm. Both singles were released late last year - the 1st single and title track, 'Gathering Storm' was released on September 28th and the 2nd single 'Be Free' launched on November 30th.